Fundplus is a responsive and clean bootstrap HTML5 template. This is a nice and awesome template that can be used to build charity, causes, family, ngo, campaign, donate, donation, help, non-profit, politics, faith, organization, humanity, fundraising, religion or any kind of fund or NGO related websites. 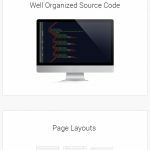 This template is built using the latest bootstrap responsive framework, and for this reason it can be customized easily by the future developers or clients. It has a lot of features and pages like responsive sliders, gallery, volunteers, volunteer details, events, causes, blog, blog single, FAQ, 404, under construction, contact etc. We will update this template in a timely fashion. We also will desire to know from you about the features you would like to include in the future updates. We do not include the demo images in the download file. Can Fundplus template be installed as WordPress theme? No. Fundplus is developed as a pure responsive HTML5 template that can be used as website template. But you can not install this as wordpress theme or any other CMS theme.